I rely on platforms to keep me feeling tall with minimal suffering, and am un-thrilled that they’re not having much of a moment this season. Scrounging up enough decent ones up for a post took some doing, but I did manage to find several I want to own, starting with these, which seem excellent for when you’re dressing things up a bit. I’d venture to say that the pale pink is light enough to function as a neutral, but it also comes in black. 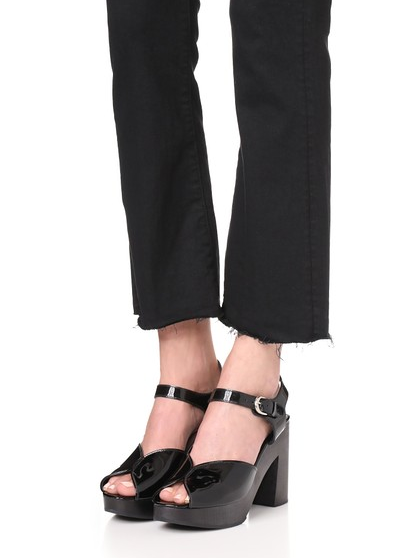 I’m not sure why I am so tempted by these; they’re just this side of frumpy, but there is something a little French schoolgirl about them, so perhaps that’s the appeal. And the fact that they’re made by Dansko means they’ll be insanely comfortable. Another Dansko pair: I love the mix of the metallic leather with the neutral. 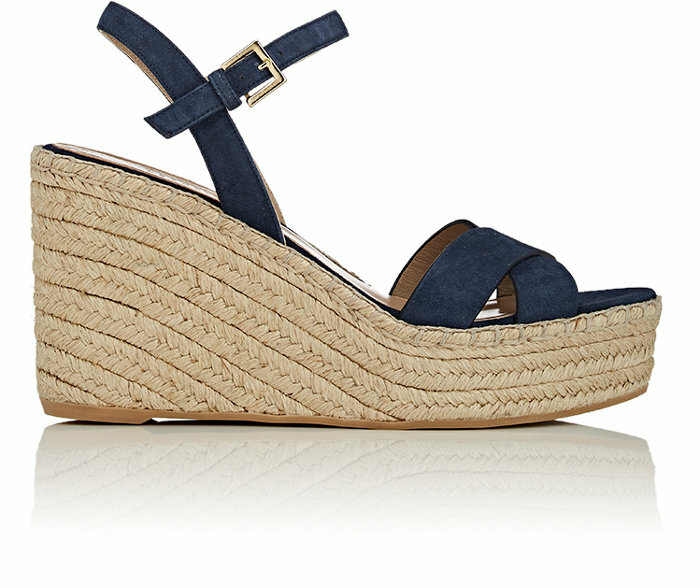 As classic an espadrille platform/wedge as you could ask for. I own these, by Robert Clergerie, and they come in handy for times when I want to dress nicely but also know I’m going to be doing a lot of walking. I am no fan of Diane von Fursterberg—during my time in the fashion trenches, I heard too many stories about her being a really deeply unkind person—so I never show her stuff here. But will make an exception for this wrap-around pair: the studs are just so cool. 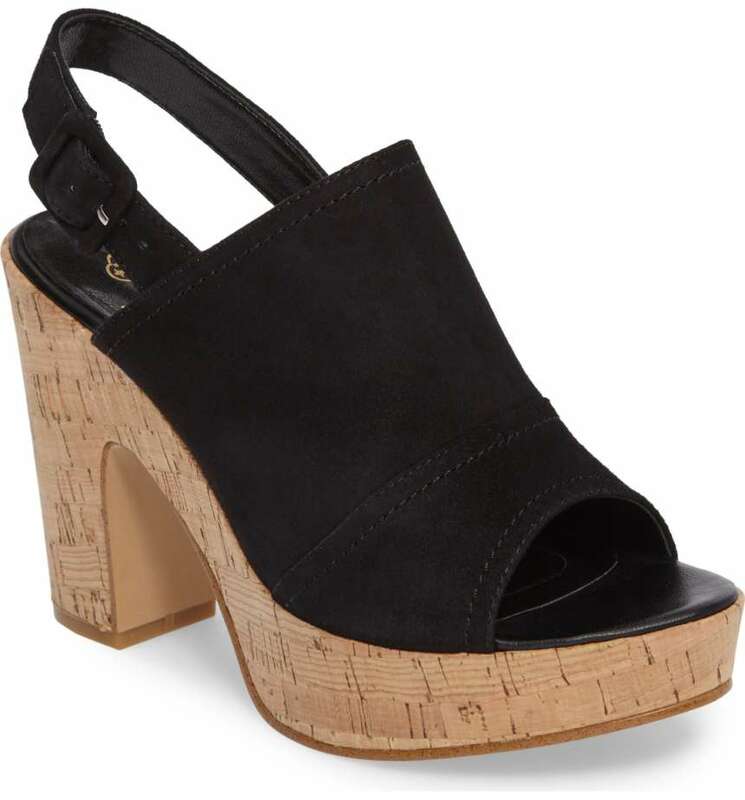 Not the most walkable pair in this roundup, but the mix of cork and suede is really rich, and they’re nicely dramatic. I’m showing these on the model because you can’t tell quite how cute they are on their own. Just a good solid crossover platform at a great price. Here is the pair you just throw on before leaving the house without having to think about it. They come in a cool mushroom-y hue too. 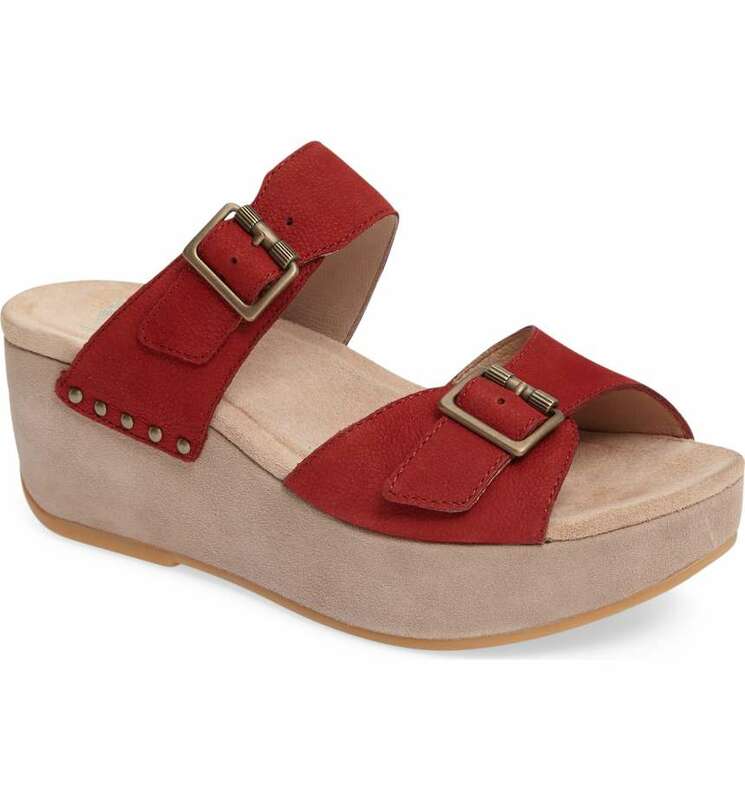 I’d wear these with rolled-up jeans or chinos to show off the cute strap. I don’t seem to get it where shoes are concerned! You say the Danskos are just this side of frumpy; I think they’re classic and pretty. The Charles David platform, OTOH, looks like a giant black sofa for the foot. Chacun a son gout ! I don't seem to get it where shoes are concerned! You say the Danskos are just this side of frumpy; I think they're classic and pretty. The Charles David platform, OTOH, looks like a giant black sofa for the foot. Chacun a son gout ! 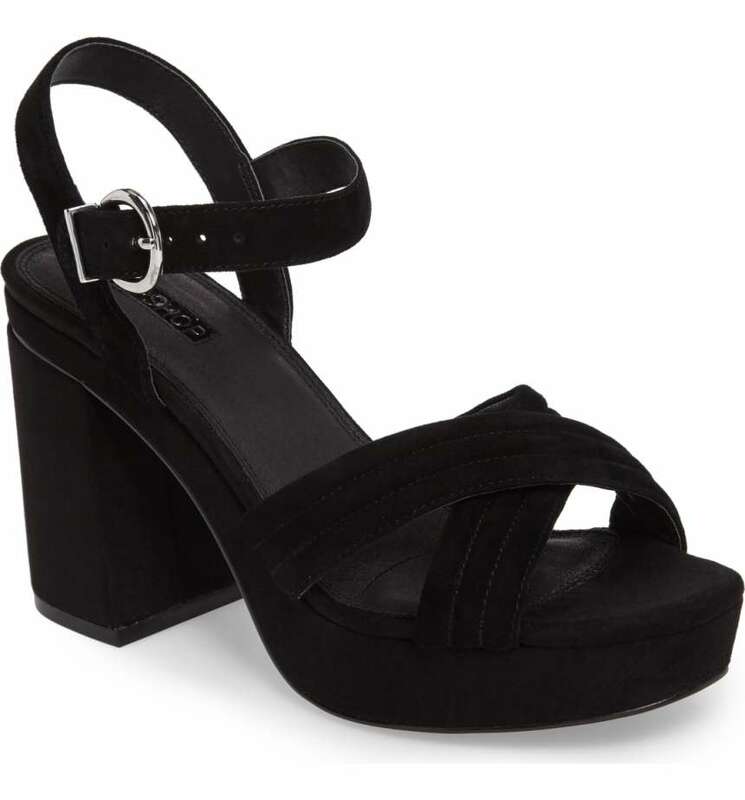 Wolky Jewel sandals for those of us who love platforms but are afraid of ankle-twisting falls–they have a not-high very stable platform, fit orthotics, and are cool in that frumpy old-lady way. Come in lots of colors etc. I love mine–best thing to happen to my 57 yr old feet in many a year……. I am going to google that… I love platforms and will never stop. I love the Charles Davids … the only issue is how quickly suede gets ruined if you drive in them. Problem. If only the purple were an electric blue instead. Still. I am going to google that... I love platforms and will never stop. I love the Charles Davids ... the only issue is how quickly suede gets ruined if you drive in them. Problem. If only the purple were an electric blue instead. Still. You’ve won me over about platforms now! Love them all. You've won me over about platforms now! Love them all. I want to hear more about DVF!!!!! I don’t know if I want to know more today… too much reality lately already … but I am glad to see that you put your support behind people who behave well and not so much behind those who do not. If only we all did that. I don't know if I want to know more today... too much reality lately already ... but I am glad to see that you put your support behind people who behave well and not so much behind those who do not. If only we all did that. At least some people color themselves orange so we know they are baddies. But yes, too much reality overload. Yep. I love the Danskos! 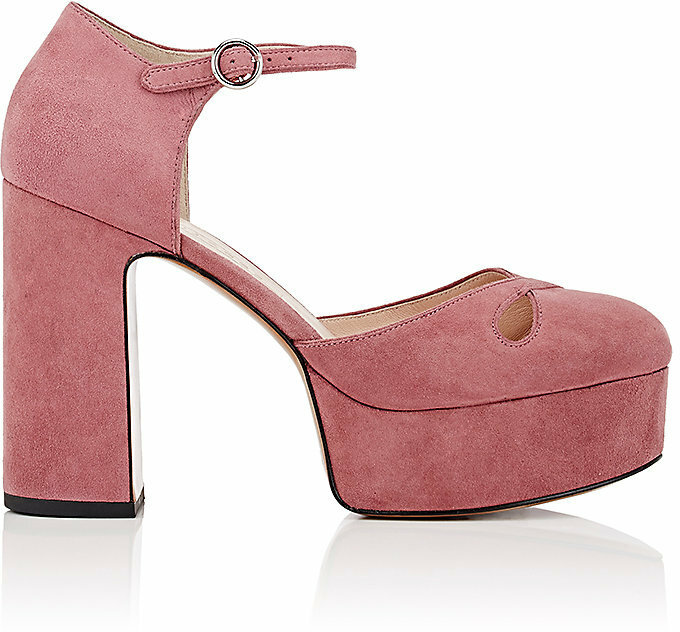 And the pink ones tho I could not walk in that heel. Your review is fantastic — and DVF sounds like a total nutjob. Your review is fantastic -- and DVF sounds like a total nutjob. Wow – I had no idea about DVF, and now I’m horrified. Yeesh. I worked as a model for her ex-husband, Egon, who was kindness personified. Wow - I had no idea about DVF, and now I'm horrified. Yeesh. I worked as a model for her ex-husband, Egon, who was kindness personified. I love Danskos – they keep me from crying over having old problem feet. The metallic ones are a go. I will never give up my platforms! 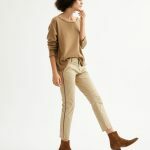 So much easier to wear and flattering than those bizarre stripper heels. I love Danskos - they keep me from crying over having old problem feet. The metallic ones are a go. I will never give up my platforms! 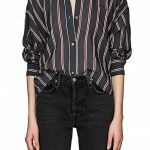 So much easier to wear and flattering than those bizarre stripper heels. That brought back memories of my son’s youth leadership group…think camping, survival, etc, showing up at the Christmas banquet in a pair of those and me having a WTH moment over how alarmingly inappropriate they were. I suppose the accompanying short dress made me wonder why she made those choices, given that the group was made up mostly of teenage boys. You could say it was the moment I lost all respect for her. But I digress, as Kim would say. That brought back memories of my son's youth leadership group...think camping, survival, etc, showing up at the Christmas banquet in a pair of those and me having a WTH moment over how alarmingly inappropriate they were. I suppose the accompanying short dress made me wonder why she made those choices, given that the group was made up mostly of teenage boys. You could say it was the moment I lost all respect for her. But I digress, as Kim would say. this page led me on a rabbithole of Clergerie Dylan platform searching, and ultimately I scored this same pair (size 10) from eBay. Thanks! I’m going to wear them with a silver Reformation dress to an upcoming wedding. this page led me on a rabbithole of Clergerie Dylan platform searching, and ultimately I scored this same pair (size 10) from eBay. Thanks! I'm going to wear them with a silver Reformation dress to an upcoming wedding.